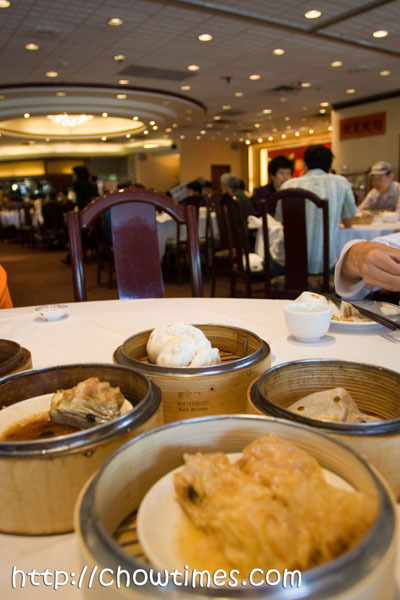 We had always thought that some of the worst time to go for dim sum is on a Saturday morning. Generally, Chinese breakfasts are simple affairs but if one wanted something more substantial then the only breakfast to go for is dim sum. BTW, for those of you uninitiated to the intricacies of dim sum, I have you know that dim sums are always served in the morning. You can also get dim sums for lunch but never for dinner. I don’t know the reason why — it just is. 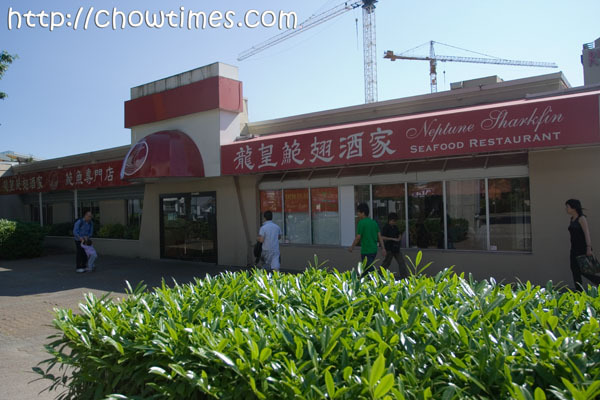 The Neptune Sharkfin and Seafood Restaurant is one of the known dim sum places in Richmond. You will never miss it on the No 3 Rd. It is on the Richport strip mall on Akroyd. Despite that prime location, we had only been there like once every two years. 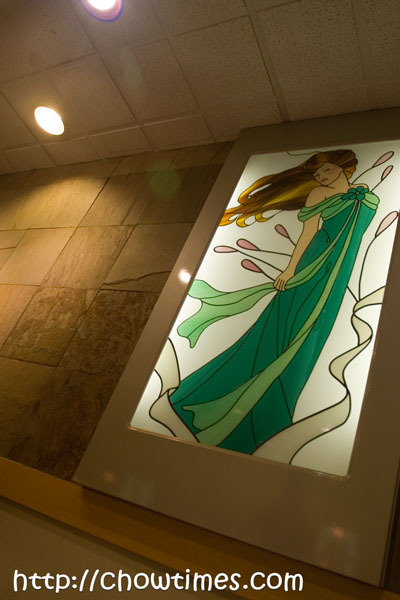 As the name implies, it is basically a seafood restaurant serving really upscale dining options. 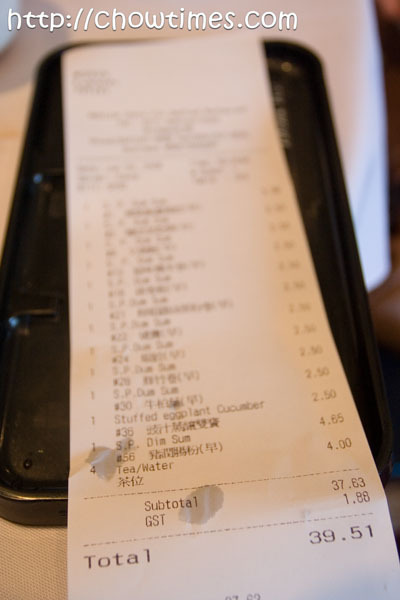 They have $398.80 dinner for two on their menu which includes dishes like shark fin, abalone, giant prawns, bird nest and stuff. So, if you want to splurge, this is the place. If you want to go cheap, they also have menu for six for only $128. Neptune does not have push carts that delivers dim sum to your table. You order them and they deliver it from the kitchen. They were pretty fancy in that they have colored order forms. The English translations helped. Their specials and unique dishes are highlighted in red which makes selection easier. 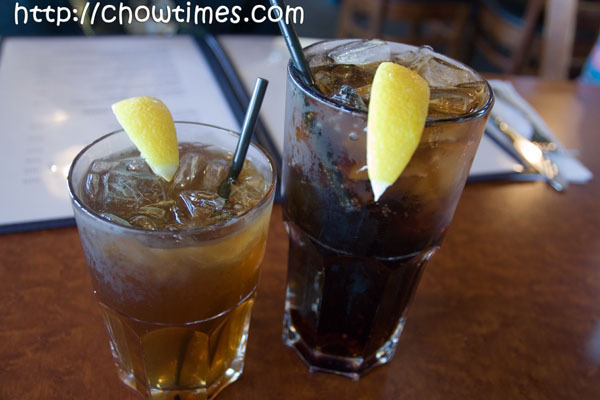 For dim sum, their “happy hours” is 8:00 AM to 11:00 AM which a small selection is just $2.50 each. Neptune is decidedly more cleaner and classier than most dim sum restaurants. I am not making this up but I swear their customers dresses better too. You know how it is in some dim sum places where the customer came without combing their hair, in shorts and looks like they just got out of bed. Well, I was looking just like that and felt immediately out of place! The tab came just under $40 which is not too bad considering how much we ordered. We certainly will come back again someday. There is a new Pho in town. It’s called Pho 99. We saw it on the adverts they placed on the local papers. Every now and then, when Nanzaro had one of his Pho cravings, he’ll demand that the entire family go with him. He always wanted to go back to the same old places and eat the same old things but I got a job to do. My job is to blog about new places and we cannot always go back to the same places can we? I mean, how many times would you all enjoy us writing about Kam Do! It’s always a test of will with Nanzaro but I win most of the time because I pay the tab. This time I let him win because Pho 99 is a new place. 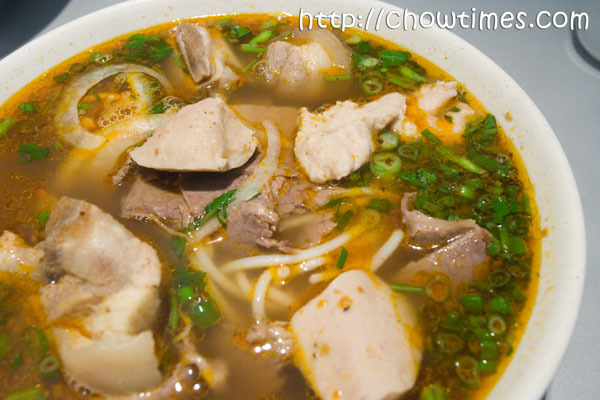 What surprised us was that Pho 99 is located in the same spot as one of our favourite eateries, Coco Chilli. We blogged about Coco Chilli here before. 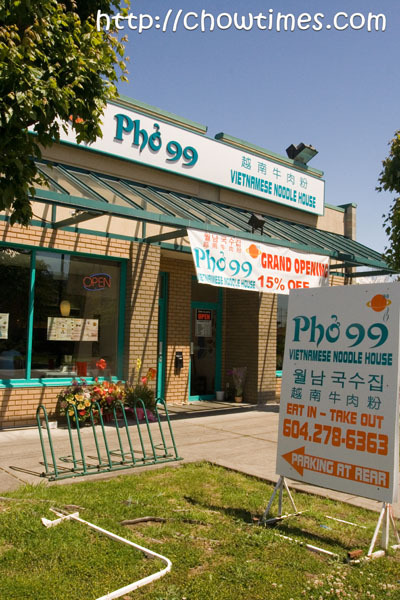 So, Pho 99 is located along the far eastern end of Alexandra in Richmond. They apparently have 6 outlets in all and surprisingly, two of which are in Bellingham and Seattle in the US. Wow … an international Pho chain, so to speak. Inside, it looks virtually the same as when it was Coco Chilli … the same fake coconut trees were still there. The operations were new and I could see that the waitresses were quite uncertain of their own menu. But they were very eager to please though and that is good. We are now in DC. It had been a few days already since we logged on to the internet. It sure felt like foreover! I wanted to let you all know that we will not be logging in everyday. This means that some comments left on this site might not show up for a few days (for long time commenters, your comments are approved automatically). This also means that we will not be able to respond to questions and comments left here — sorry! Moreover, we will only have a few more days of blog entries left on auto publishing and then it will stop until we get home in early August. 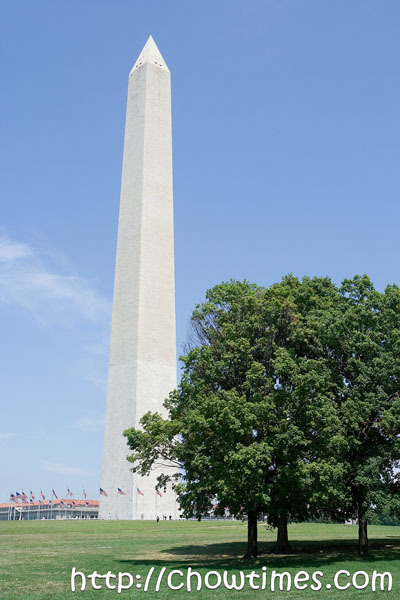 DC is wonderful but is really hot and humid. There are so many things to see and do here but all the walking is killing our feet. We will have a lot to share with you when we’re back home. We have a problem … we had not been eating well!! Most the places we went to for food so far are so boring. So, help us here now, Washingtonians! Can you guys suggest places we should check out … places that are accessible via the Metro. We are staying 3 minutes from the US Capitol and this place is dead after office hours. We went to the Chinatown, Metro Center, and Dupont Circle but can’t find anything we really fancy. 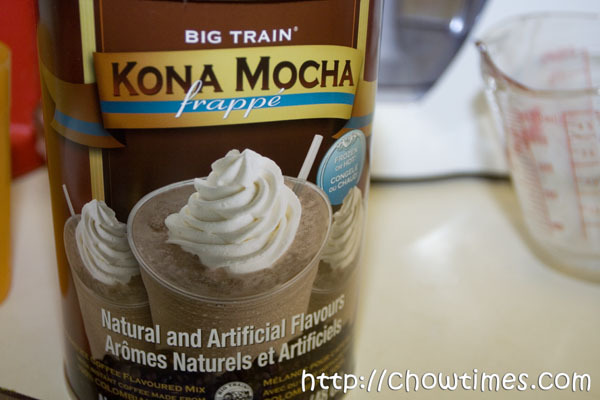 We bought this Kona Mocha Blended Iced Coffee Mix from Costco for about $8. It has become one of Nanzaro’s favourite home made drink in summer. 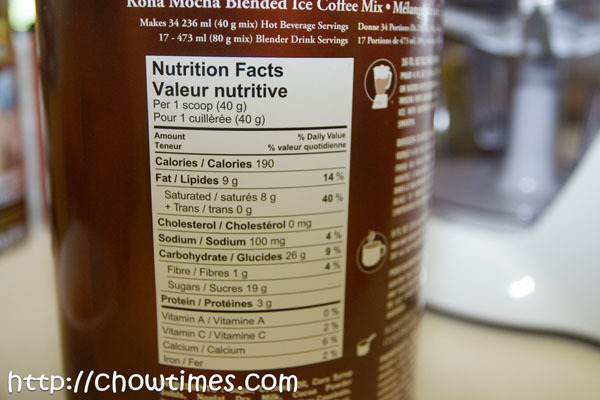 This is a fairly good iced blended coffee which has the creaminess that resembles Tim Horton’s Iced Capp. After the picnic at the Steveston Park, Polly, WB and I proceed to Steveston Village for lunch. Steveston Village is a historic site where the Gulf of Georgia Cannery, the Britania Heritage Shipyard and the Murakami Visitor Center are located. It’s a popular visitor destination in Richmond. 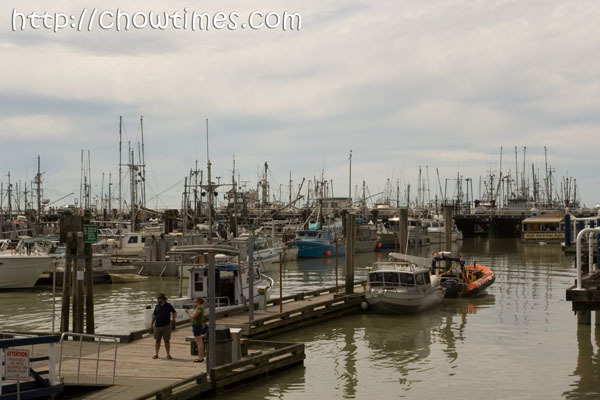 One can also purchase the fresh catch from the sea at the Fisherman’s Wharf or go for whale watching adventure. 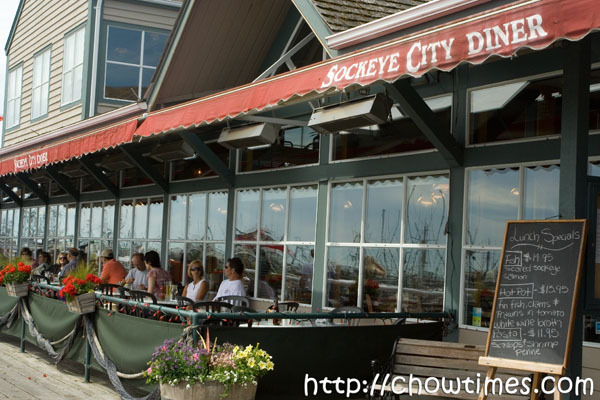 Sockeye City Grill is just located on the pier of the Fisherman’s Wharf. 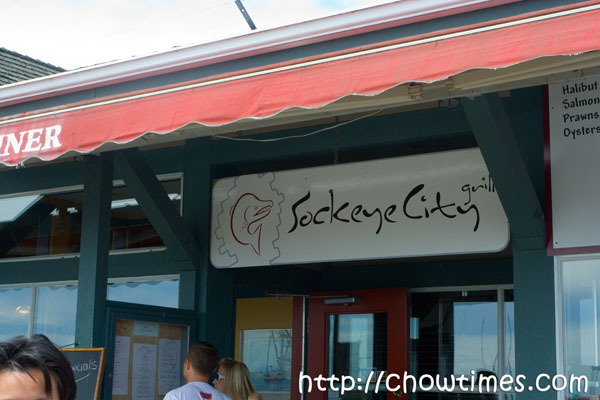 There are several fish and chips restaurants here but Polly and WB said Sockeye City is the best. In this time of the year, the outdoor patio is usually full. But the little girls prefer to sit inside instead. 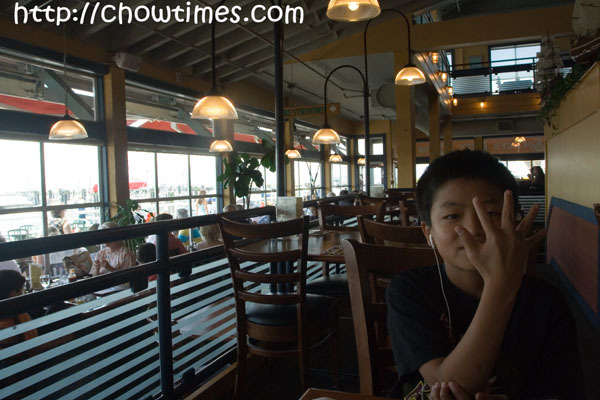 The interior is cozy and has a nice view overlooking the pier too. Polly, WB and I brought our kids to the Steveston Park for a picnic. It is the time of the year where kids get to enjoy the outdoor life. 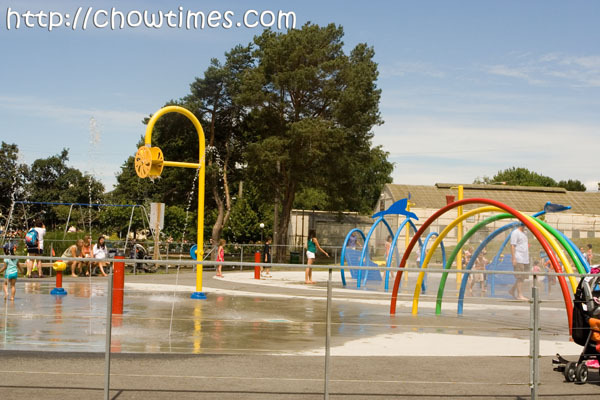 Steveston Park had a new water park installed last year. This is the first time I visited this waterpark. The water park is very popular with young kids. Of course there are also moms with very young toddlers. Nanzaro came with us to the park but he decided to spend time in the library as he is a teenager now. He hates it when people call him a kid. 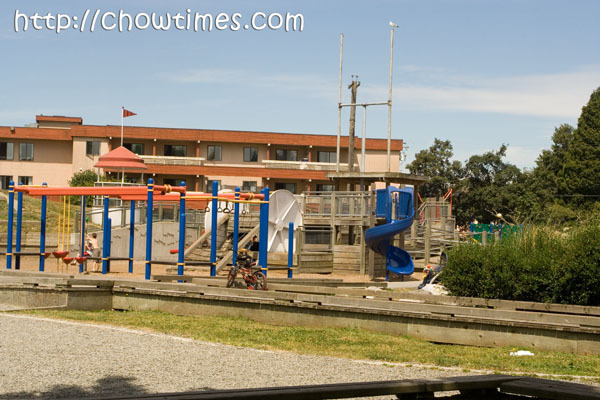 Besides the water park, there is also the playground for kids to swing, climb, slide and all. Kids nowadays are very lucky to have such facilities provided free for them. Polly also brought along some washable paints for the kids to do some painting. Well, someone forgot the brushes but hand painting seemed to be more fun. We brought along some snacks to munch because we intended to go out for lunch later. 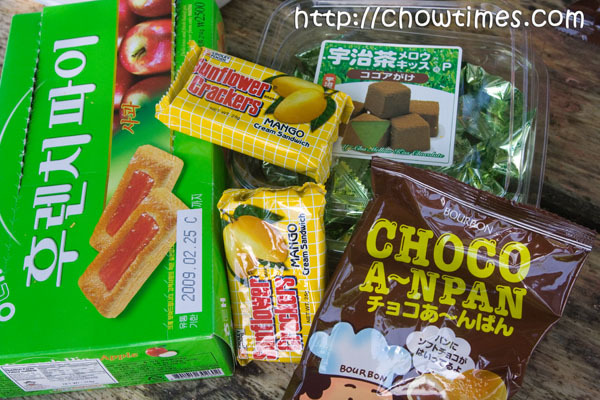 Here are some of snacks we had. 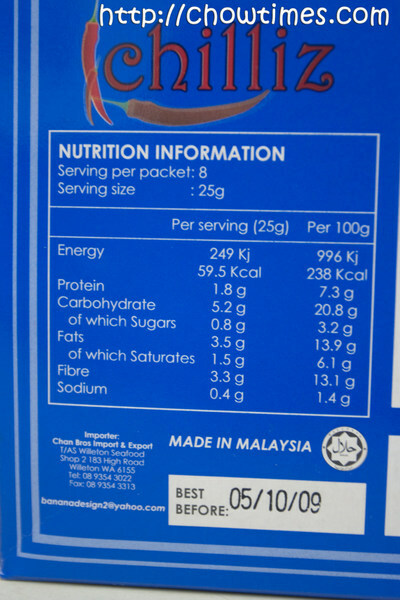 Polly recommended me this Malaysian traditional Prawn Noodle Paste. Polly told me that when she tasted it, Nanzaro came to her mind as she remembered Nanzaro enjoys spicy food a lot. Prepackage mixes and paste makes life easier for those who miss their hometown food. You don’t have to buy individual spices and herbs to grind or pound them yourself. But using such paste may have short fall like you can’t control the amount of salt in them. I find that the amount of salt in this paste is very high. I would not recommend consuming this too often. The soup tastes pretty good, very rich in prawn flavour. 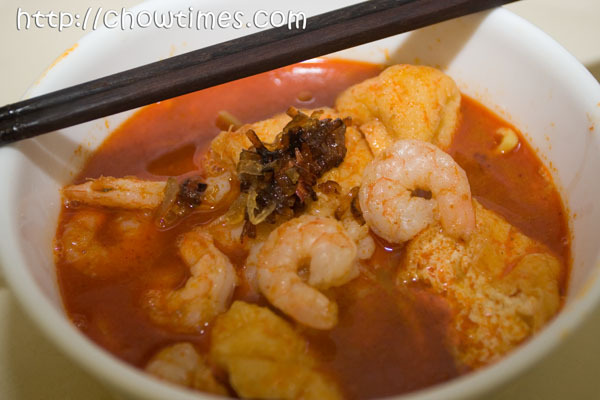 I had prawns and fried tofu puff to go with the prawn noodle because originally I intended to make curry laksa. 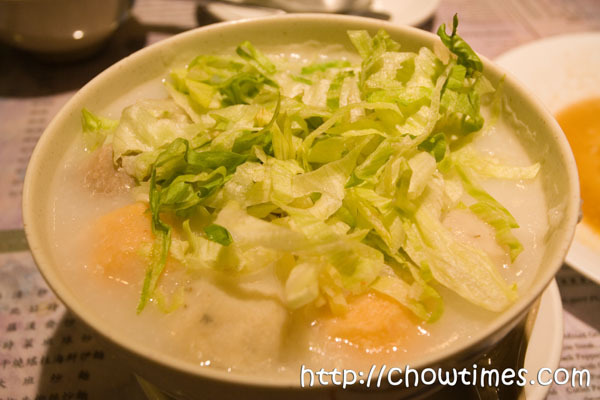 The traditional prawn noodle should have garnishes like poached chicken meat slices or pork slices, choy sum, bean sprout, hard boiled egg and prawns. Well, well, well. Mary Stacy was quite sharp. She noticed that we normally tip in the region of 10% when we eat out. Now that it was brought up, I think it’s a very interesting topic. We had always thought (and still believe) that Canadians generally tip in the region of 10% to 15%. That is to say that we generally tip 10% and only 15% or more if the service is good. Well, that had always been what we normally do. We do observe and practice tipping more when we are in the US. I believe the norm is to tip at least 15% and up to 20% and more if the service is good. So, when Mary Stacy mentioned that 10% was low and that I think she’s from Chicago, I am kind of not surprised she mentioned it. So, here is the question for you all … I mean you ALL readers … I mean not just readers from Canada and the US … can you share with me (1) where you are from and (2) how much do you typically tip? Just take a few seconds and respond with a comment. I will collect all responses and summarize them. It will be very interesting to know, I bet. 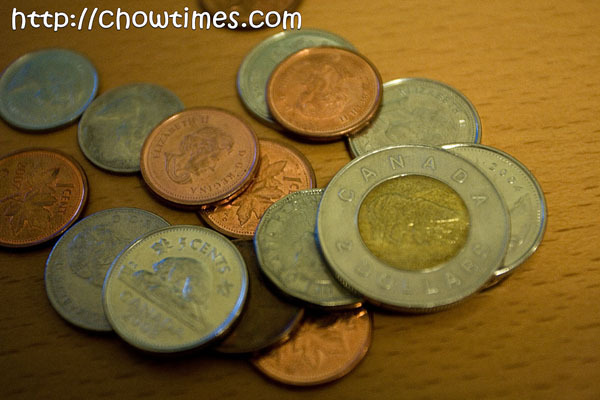 Tipping in Canada is similar to that in the United States due to the close cultural nature of the two countries. For example, while tipping for waiters in the United States is 15-20% for good service, waiters in Canada also receive 10-20% for good service. Whew! It’s good to know we were not so cheap after all. LOL! 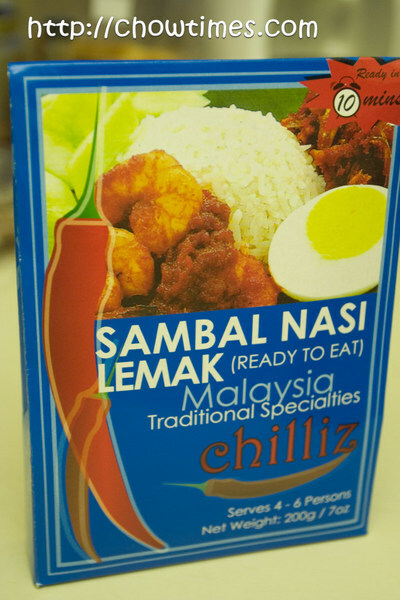 Ben picked up this ready to serve Sambal Nasi Lemak from Smart & Save to try out. We simply love spicy food and nasi lemak (rice cooked with coconut milk) is very simple to prepare. 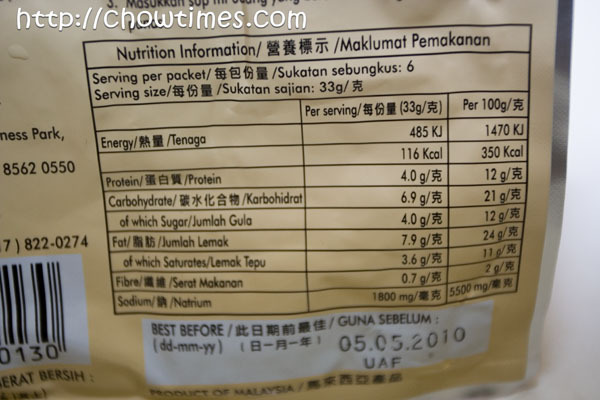 This package costs around $2 plus and it serves 4 to 6 persons as printed on the package. All you need to do is to heat up the sauce and it’s ready to eat. 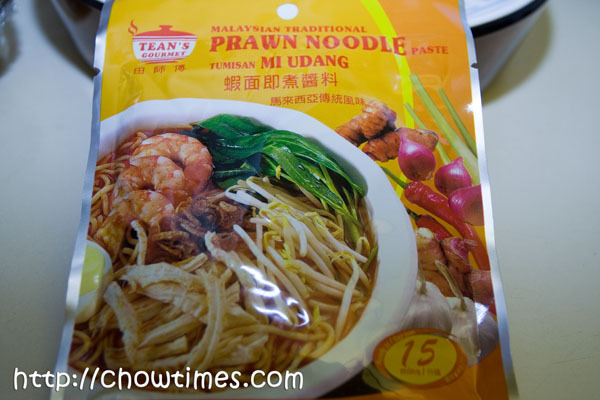 This sauce is great as condiment for curry laksa and prawn noodle. 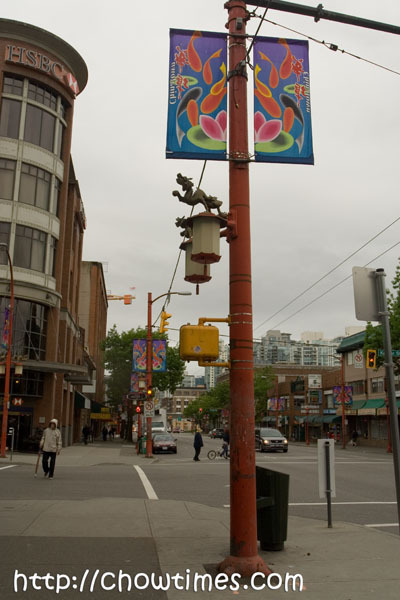 Vancouver’s Chinatown is known as the second largest Chinatowns in North America. Only the one in San Francisco is larger than Vancouver’s. Frankly, it had been on a decline for many years now. We used to go to Chinatown often for food and groceries but no longer. We could get what we wanted and more just about anywhere in Metro Vancouver these days. Suanne and I decided to take a drive to Chinatown a weekend a few weeks ago. The boys were off doing their air cadet stuff and we had time for our own. We checked out a few places but many of the restaurants really looked very dirty. The one that seems the cleanest is The Boss. 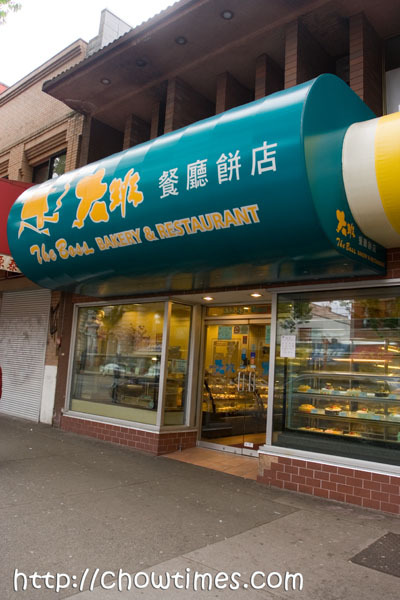 The Boss Bakery and Restaurant is located at the 500 block of Main St. I believe they are the same restaurant as The Boss in Metrotown which I used to blog here. (BTW, the one in Metrotown was closed the last time I pass by a couple of weeks ago … am not sure if they are undergoing renovation). Don’t be deceived by the picture I took above. It’s just that the angle shows a quite classy restaurant. It is not! It is by no means dirty but rather quite clean for a Chinese restaurant in Chinatown. 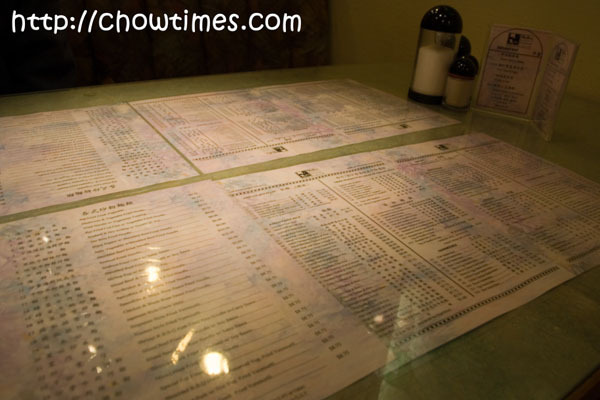 They gave a huge menu which they place under a glass top — just like they do in the Metrotown restaurant. I know it’s kind of corny but it’s practical if you ask me. I get seated and there is the menu right in front of me … no need to wait for the server to bring along one. However, they have a very limited menu for breakfast and I mean very limited. 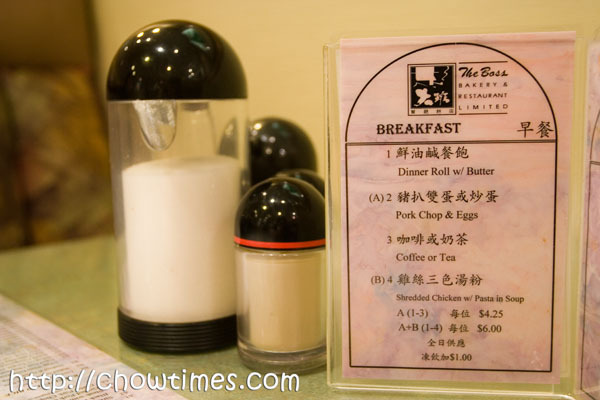 They only have the breakfast menu you see above and congee.